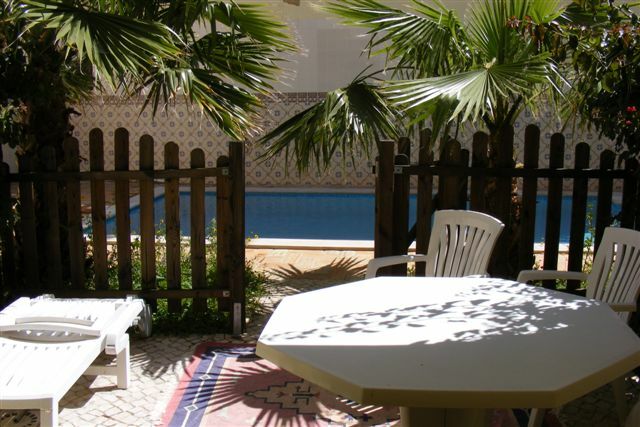 2 bedroom Townhouse for long term let with swimming pool and free WiFi in the center of Tavira. 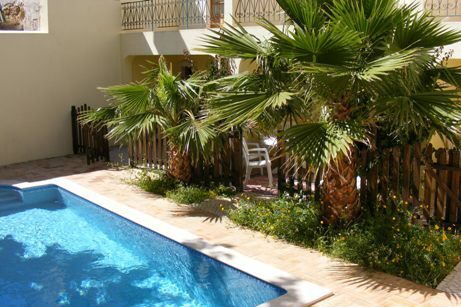 One of three townhouses sharing a swimming pool conveniently located in the center of Tavira, only minutes away from the palace and the old historical center of Tavira. 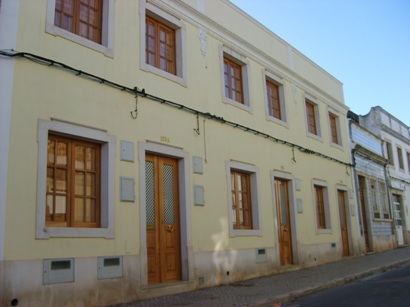 These are very nice properties in the center of Tavira, but located in a quiet street. The nearest beach is Isla de Tavira and is accessible by boat form the quay just opposite our office and a 5 minute walk from the property. It is very easy to lose track of time in this lovely old town. You can spend hours strolling the charming cobblestone streets with it's many restaurants, shops, bars and terraces to enjoy a refreshment in the sun. 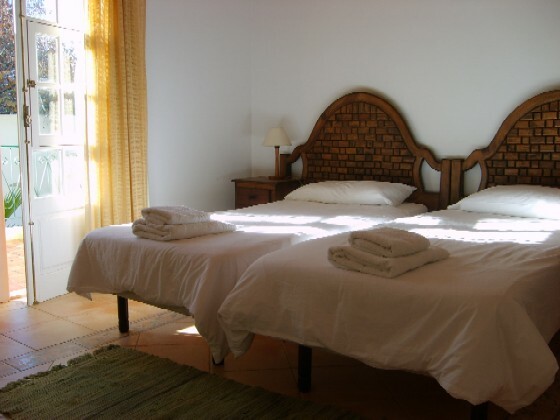 The old palace is near by and the beach of Ilha de Tavira is within walking distance and has many small restaurants. This is a very nice destination all year round. Golf courses are within a few minutes drive. During the summer months there is a boat ferry from the center of town going to Ilha de Tavira and Quatro Aguas. 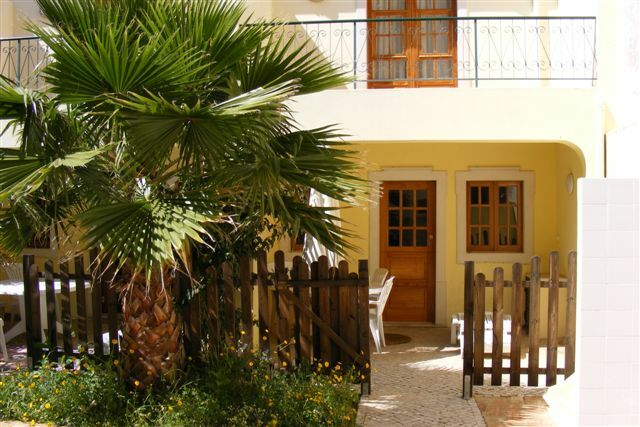 The accommodation is well presented and tastefully decorated and has a very nice ambiance. Each townhouse consists of a lounge with and dining area, a fully equipped kitchen with dishwasher, cooking hob and electric oven, microwave oven and a fridge. Bathroom and storage room with freezer. Staircase leading to the first floor which comprises of two good size double bedrooms with high ceilings made of wooden beams, wooden built-in wardrobes, a bathroom with bath. One of the bedrooms has a terrace overlooking the swimming pool. The swimming pool (8 x 4 mtr.) and surrounding terrace with sun loungers is for communal use. Each house has a private terrace with table and chairs. All bedrooms have air conditioning for heating & cooling. The property has a flat panel LCD TV, satellite TV and DVD player. A true home away from home. 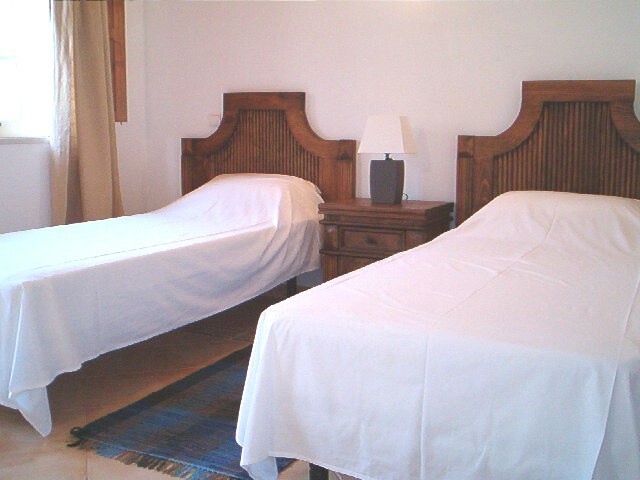 The capacity of the townhouse is 4 adults, however additional beds for children can be rented. Distances: Faro: 30 km; Boat ferry to beach: 1 km; Beach: 2.5 km; Nearest restaurant: 200mtr; Supermarket: 250mtr; Train station: 200mtr; Golf : 3 km; Spain: 28 km. Price is per month, excluding utilities. Minimum stay two months. Bed linen and towels (excluding pool & beach towels) included. Rental car is not required as all amenities are within walking distance. Children and small pets are welcome.